Poor ratings could hurt Shinzo Abe's chances of winning a third term as leader of the ruling Liberal Democratic Party. 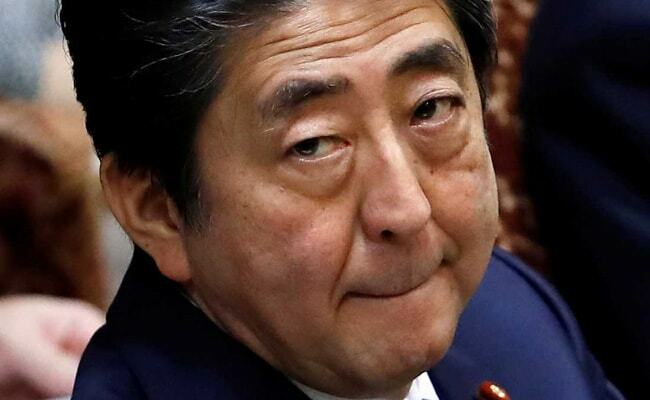 Tokyo: Japanese Prime Minister Shinzo Abe's government faced criticism on Thursday, after his defence minister said the army last year found activity logs from a controversial 2004 to 2006 deployment to Iraq, but had failed to report them to his predecessor. Poor ratings could hurt Abe's chances of winning a third term as leader of the ruling Liberal Democratic Party in a September vote that would position him to be Japan's longest ruling premier, so long as his coalition controls parliament. On Wednesday evening, Defence Minister Itsunori Onodera revealed that the Ground Self-Defense Force, as Japan's army is known, had located the logs in March 2017 but failed to report them to his predecessor, Tomomi Inada, who had told parliament a month earlier that the records could not be found. "I would like to report to parliament after strictly investigating whether this was a cover-up," Onodera told an upper house parliamentary committee on Thursday. Chief Cabinet Secretary Yoshihide Suga told a news conference the government would decide what steps to take after an investigation under Onodera's "strong leadership". The Iraq troop deployment, Japan's biggest and riskiest overseas military mission since World War Two, was controversial because the reconstruction and humanitarian activities took place in what experts agreed was a conflict zone. The government designated the area a "non-combat zone" to avoid violating the pacifist constitution. The logs could shed light on conditions in the area where the troops operated. "Cover-ups are the basic nature of the Abe cabinet. The entire cabinet should resign," Kyodo news agency quoted opposition Democratic Party upper house lawmaker Hiroyuki Konishi as telling the panel at which Onodera appeared. The fresh revelation coincided with the army's launch on Wednesday of a central command station to oversee Japan's five regional armies, operated separately after World War Two to avoid too much control by the military. "Civilian control is thoroughly implemented, unlike under the pre-war constitution," he added.